Our corporate and tax practice emphasizes planning for complex business transactions, including formation of entities, business combinations, business divisions, acquisitions, sales and contested tax matters. 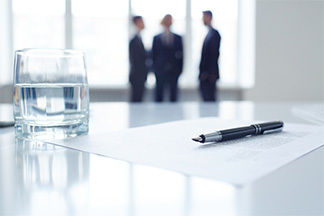 We structure transactions for many types of entities, including publicly traded and closely-held corporations, S corporations, trusts, general and limited partnerships, limited liability companies, joint ventures, tax-exempt organizations, and foreign entities, as well as transactions for individuals and sole proprietorships. We handle corporate reorganizations and acquisitions, venture capital financing, real estate and oil and gas syndications, master limited partnerships, tax controversies and litigation, and Texas state margin, property and sales taxes. Attorneys in the banking, real estate and bankruptcy practice are involved in the acquisition and sale of real property, real estate financings and refinancings, foreclosures, and bankruptcy. With offices in Houston and Austin, Oaks, Hartline & Daly attorneys represent clients throughout Texas and beyond. We welcome you to learn more about our services below or to contact OHD for more information about how we may serve you.